Smaller, lighter and more universal is not possible. And this with the miniature dimensions of no more than 55 x 35 x 15 mm of the device and its excellent A/V recording possibilities. Whether camouflaged, in the pocket, attached to the window using our mastic material, our PKI 5945 can be used anywhere. Additionally, it can be remote controlled with the included handheld transmitter. Unobtrusive recordings can not be made in a more discreet way. The built-in colour camera provides colour images in VGA format and in real time to the integrated miniature USB recorder. The digital A/V recordings are read out via USB on a PC. The battery is also charged via USB. Miscellaneous: Delivery including mains charging adapter and USB cable. A micro SD card up to 16 GB can be inserted additionally. 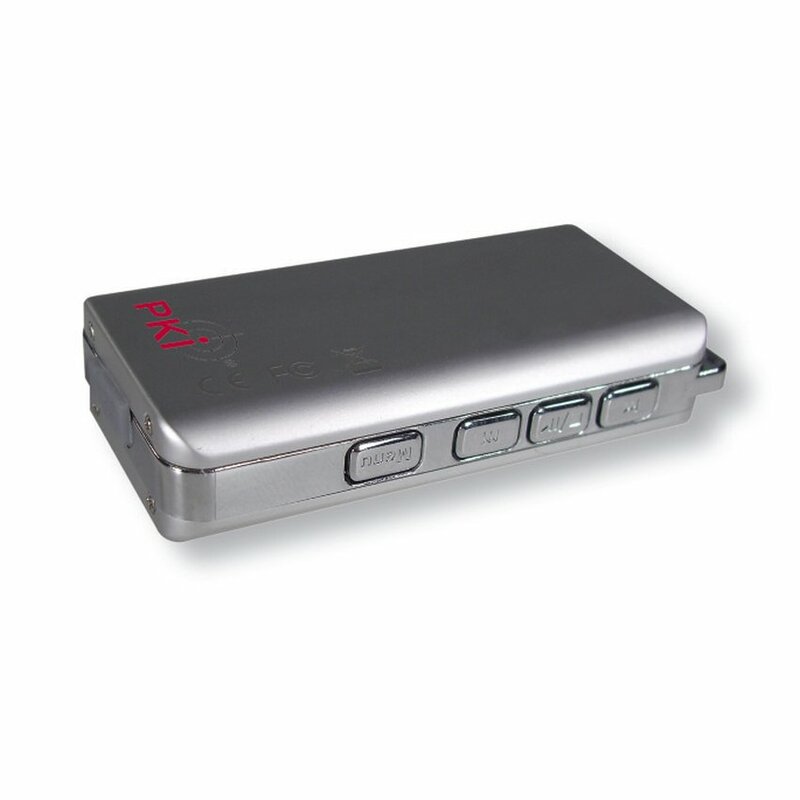 This increases the operating time to 7.5 hours in case of external power supply.